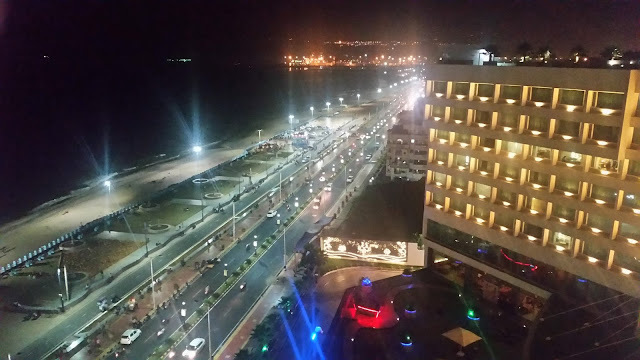 After a hot summer, Hyderabad has settled down to a climate which is much cooler and cloudy in the evenings. Such delightful weather often calls for some hot tea, fritters and banter with friends. 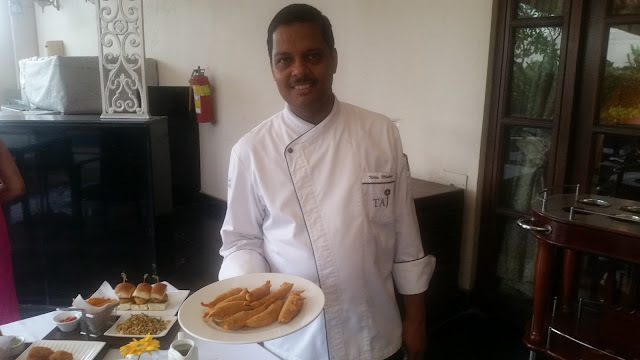 Every evening, the al fresco area at Taj Krishna is holding a promotion of a variety of snacks like sandwiches, pakodas, bajjis and chaat with choices of different tea from across the country for friends to get together and have an enjoyable time. The promotion is aptly called “Cutting Chai” after the famed half glass of tea which is so popular in Mumbai. Five combinations of tea and snacks have been lined up for this promotion. Invited by the hotel for a preview of the promotion, we got to taste quite a few of these delicious offerings. The first platter to be served was called Chaat Sampler. 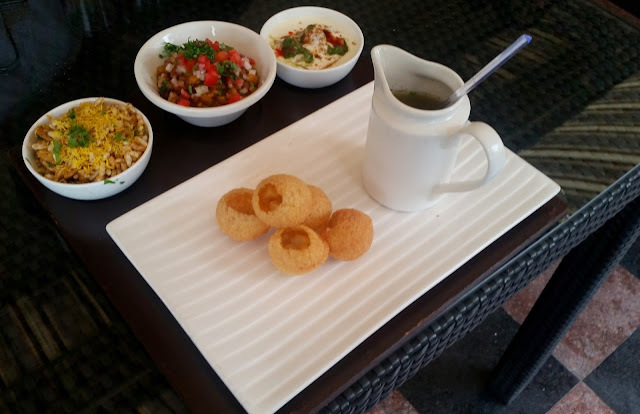 It had Golgappas served with some delicious paani, Samosa Ragda, Bhel and Dahi Papdi. Though called a sampler, the platter was quite filling, and we washed it down with Sulemani Chai, the black tea with a lemon slice which is supposed to have a lot of health benefits. 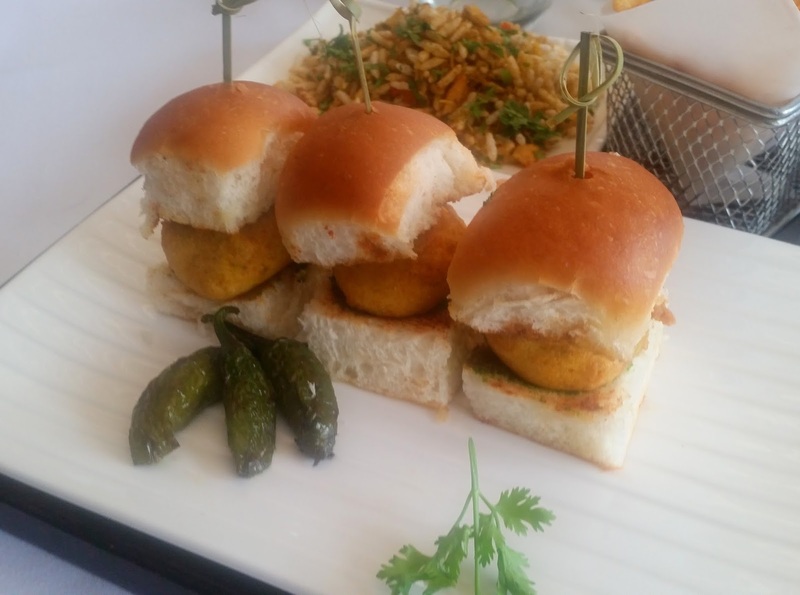 Vada Pao, or the Bombay platter served the signature snack from Mumbai accompanied by Cutting Chai. The snack tasted even better with the spicy and tangy Lasooni Chutney which was served with it. Portions of the tea with milk was served in small glasses in the same way as you enjoy in Mumbai neighbourhoods. The weather called for hot pakodas to accompany the chai. The Mirchi Bajjis were large and the chillies were stuffed with spiced up potato fillings. 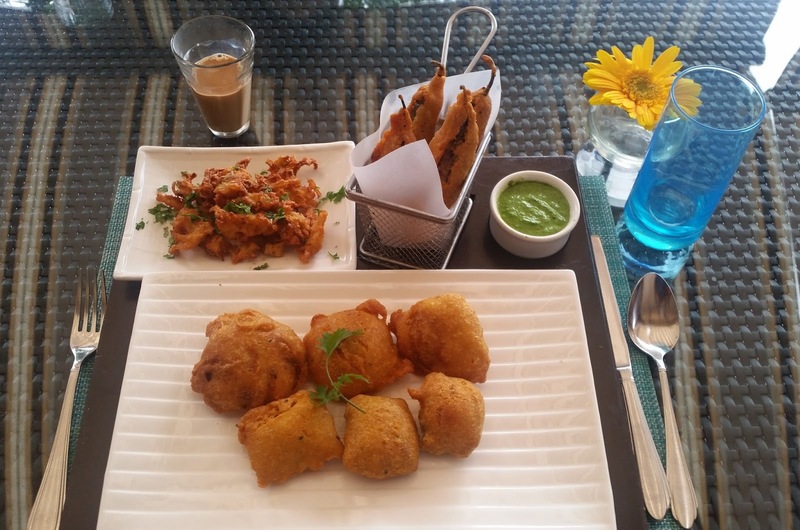 Onion Pakodas are always irresistible, and the fluffy ones made here were gobbled up in no time. There were also pakodas made with besan and vegetables like potato and capsicums. 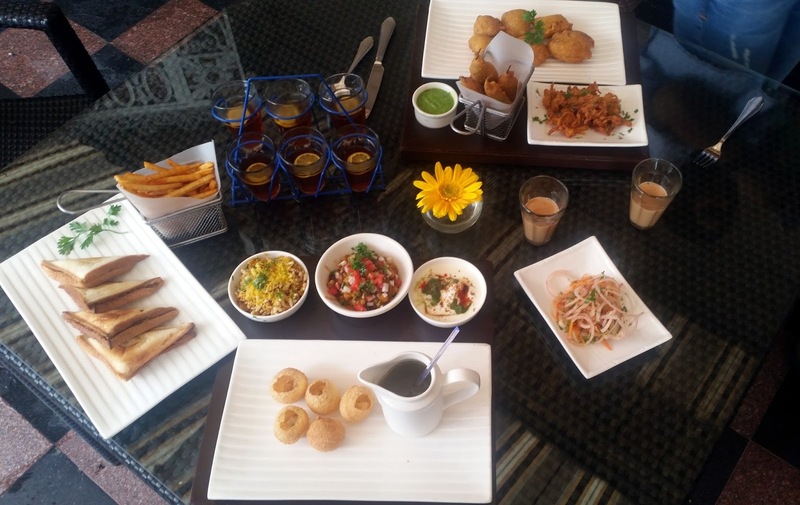 For people interested in non-vegetarian fare, Chicken Pakodas or deep fried chicken fritters were served with Kashmiri Chai. The tea from the valley had crushed almonds giving in a quite different taste. A special mention has to be made about the French fries served with Bombay Toasties. The fries had a sprinkling of peri peri spices apart from the chat masalas, and was a perfect accompaniment to the toasties, the special sandwich from the financial capital of India. 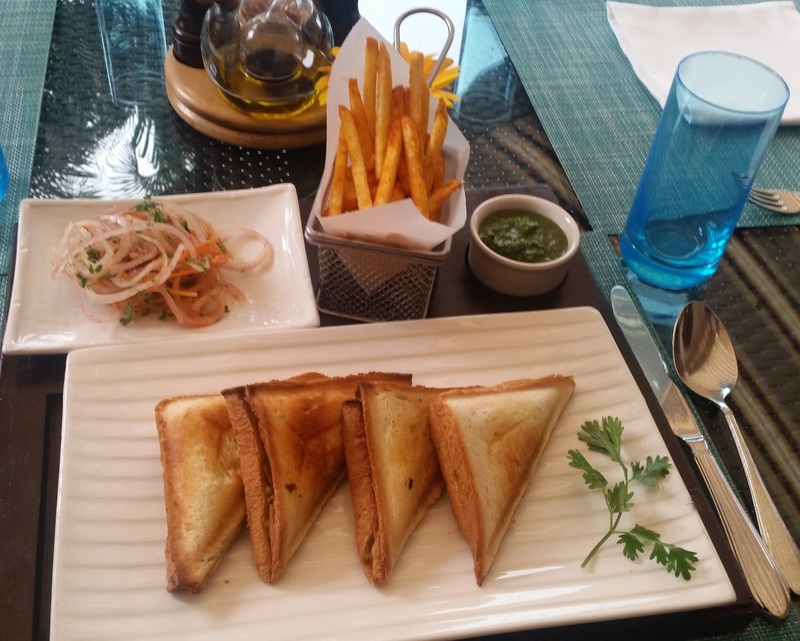 The toasties here are served with two types of fillings as per choice – chicken tikka or aloo muttar. We ended an enjoyable evening with Kahwa Chai, the fragrant tea with cinnamon and green cardamom. The Cutting Chai promotion is on every day late afternoon from 3:30 pm to 6:30 pm. 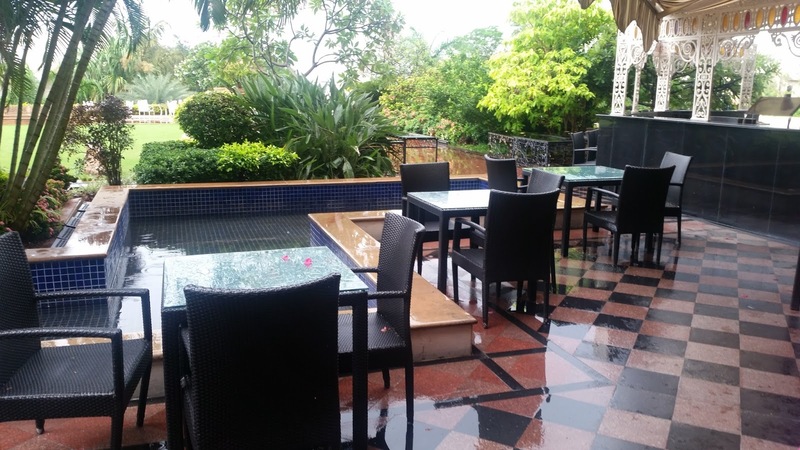 The al fresco area provides a serene surrounding for an animated discussion over some tea and pakodas.